Apex Legends has taken the market by storm and set a record for the best launch month of any free-to-play title. Respawn’s battle royale was an instant hit with the community, generating an estimated $92 million from in-game spending in February. That’s according to SuperData Research. Of the top grossing gaming titles, Apex Legends landed in sixth on PC (based on February 2019 earnings). Despite Apex’s success and its large player-base, Epic Games’ Fortnite landed ahead in fifth place, with Dungeon Fighter Online taking the top spot. It’s also stated that of the $92 million, the majority of in-game spending came from console. 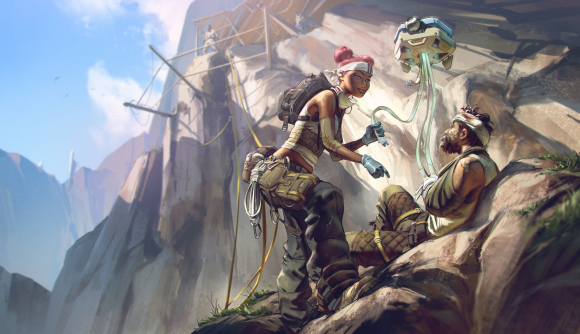 In-game revenue generation won’t be stopping there, as Apex Legends’ seasonal content is now well underway. Its first season, Wild Frontier, released on March 19 – featuring a battle pass and a new legend, Octane. This adrenaline-fuelled eager beaver boasts significant speed advantages and an ultimate ability which allows you to deploy a jump-pad. The revenue from Apex Legends represents a small portion of the $8.2 billion total spent across PC, console, and mobile in February this year – a 2% increase from 2018. The financial success of battle royales like Apex Legends and Fortnite is hammering home the message that free-to-play games are becoming industry giants. Time will tell whether their revenue streams will continue to flow as audiences respond to seasonal content releases.